Before we outline the history of this family it might prove useful to look at the sources used. In the absence of death, birth and marriage records the reconstruction of an 18th century family can be quite difficult. This following research relies heavily on Registry of Deeds material. The Registry of deeds was set up in 1708 under the penal laws. Its purpose as outlined in the act was ‘for securing purchasers, preventing forgeries and fraudulent gifts and conveyances of lands etc. which have frequently been practised in this country, especially by Papists, to the great prejudice of the Protestant Interest’. This vast archive of material escaped the depredations of the Irish civil war and contains a wealth of information if you can access it. The original records are housed in the Registry of Deeds, Henrietta Street, Dublin but the Public Record Office of Northern Ireland holds copies on microfilm. The originals in Dublin can be quite difficult to read and the microfilming of these certainly does not make that task any easier. A further difficulty lies with the indexes to the volumes. 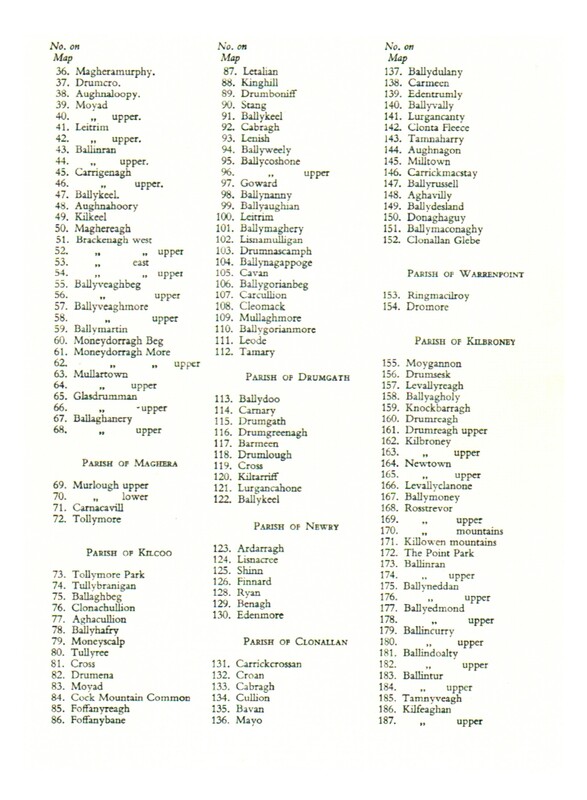 These are of two types, the first lists the grantors in alphabetical order and the second the townlands, again in alphabetical order and by county. There is no index to grantees, those who received land, and this is a major shortcoming. A summary of the deed to be registered, called a ‘memorial’, is written into large volumes. Entries, especially in the indexes, are frequently written in minute handwriting and the reference numbers to the memorials which are vital to the retrieval of these, in many cases, are impossible to read. They are the last entries in the line of information, are written at the edge of the page, with the result that after years of handling, of thumbs opening and closing pages, they have been obliterated. until 1745, when the Jacobite cause collapsed with the battle of Culloden, and while it is true to say that the enforcement of these laws waxed and waned, with regional variations, they nevertheless constituted a legal instrument which the authorities could call upon and the courts had no difficulty in upholding as and when the occasion demanded. It should be remembered that not only Catholics but Presbyterians and other Dissenters suffered under these laws. Although they fought beside their Church of Ireland neighbours during the Williamite wars and at the siege of Derry, following these victories they were treated with scant respect. Government refused to recognise their Ministers, their marriages were deemed to be invalid and their children illegitimate. These slights were particularly felt and many upped and emigrated to America. much turf as they could cut, spread, and dry within the five acres of the bog of Ballyardle. It was further specified that the turf was to be used for the firing of the premises only. The term agreed was 31 years, in compliance with the penal law. The yearly rent amounted to £78.10.0. This was to be paid half yearly, on the 1st. May and the 1st. November. These dates were customary and were known as ‘Gale Days’. to-day a modern bungalow occupies the site. To the south of this stand the remains of the walled garden. Ordnance survey maps and valuation records from the 19th century show that there were two large houses, one to the north and the other to the south of the walled garden, with a number of smaller houses scattered about. One of these consisted of one room only and was occupied in 1901 by a woman called Margaret Scharlett. This is an unusual name but like that of Marmion it was to be found in Louth. The large house to the north appears to have been Bellhill. The smaller houses were most probably the homes of those who worked on the bleach green. Ballymagart mill also provided several homes for its workers. When the mill was advertised Brent Spencer was in ill health and resident in Bath, England; he died in 1772. His widow, Hannah, married the Rev. William Stafford of Spencerhill, Castlebellingham, Co. Louth. Both families, the Pulleins (occasionally spelt Pulleine) and Spencers appear to have had links with Co. Louth. 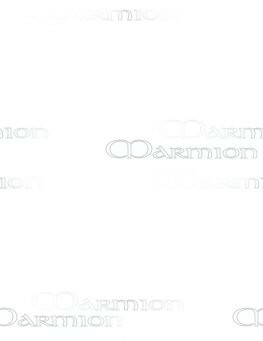 Did they come to know the Marmions, through these links, and were they instrumental in bringing them to Mourne? There is however a possibility that the family might have crossed Carlingford Lough at an earlier date. In the lease of 1765 Patrick and Richard were described as ‘of Mourne’. Murtagh Magennis whose home at Greencastle overlooked Carlingford, leased land in both Cooley, Co. Louth and Mourne from the Bagnall family of Newry. Murtagh belonged to the Corgary branch of the Magenis family. A Mourne rental of 1688 shows him leasing 16 townlands and all or parts of another five in the Killowen area which is just outside the Mourne boundary. Among the lands leased by him were those of Ballymagart, Ballyardle and Lurganreagh. The latter is adjacent to Lurganconnery. Both of these had a long association with Marmion families. During the reign of the catholic King James he was appointed Seneschal to the town of Carlingford and was one of three Co. Down representatives who sat in the Jacobite parliament which met in Dublin in 1689. This parliament passed an act of attainder confiscating many estates belonging to Protestants. A large number of these had previously been taken from Catholics during the Cromwellian confiscations but among them was that of the Bagnalls of Newry who had held from the 1540s. The Bagnall estate was granted to Dudley Bagnall of Meath, a distant cousin of the Newry family but a Catholic and a Jacobite. At a ceremony conducted in the old castle of Greencastle, beside the home of Murtagh, a sod was ritually cut and placed in the hands of Dudley signifying the transference. Unfortunately for Murtagh, along with hundreds of Irish aristocratic families he backed the wrong horse. James was defeated by his daughter’s husband, the Dutch King William of Orange, at the battle of the Boyne, south of Dundalk, and fled to France. Along with him went the flower of the Irish aristocracy, the vast majority of whom never returned. According to the historian Bagwell writing in his ‘Ireland under the Stuarts’ Murtagh was killed by Williamite forces during the struggle for Newry. His wife Mary was of the Clarke family of Dromantine, a branch of which went on to achieve fame and fortune as merchants in Bordeaux. A Mourne rental, undated, but which appears to be from around the 1720 period shows that a great deal of Mourne land had changed hands. Gone are many of the old leaseholders of the 1688 rental and names which had never previously figured as holders of Mourne land are shown as ‘chief tenants’. This did not mean that the Catholic families had gone. Most would have been still on the land but their circumstances had greatly altered. They now had few rights under the penal laws and in many cases held their farms from strangers. It appears that an influx of new settlers, most of whom would have been Presbyterian, came into Mourne after the Williamite wars. The establishment of the first Mourne Presbyterian church in 1696 would appear to confirm this. If the Marmions had been in Mourne from this earlier date it is unlikely they would show up in the early 18th century rental which does not appear to contain any Catholic leaseholders. If the Marmion brothers were already in Mourne by 1765 where were they living? 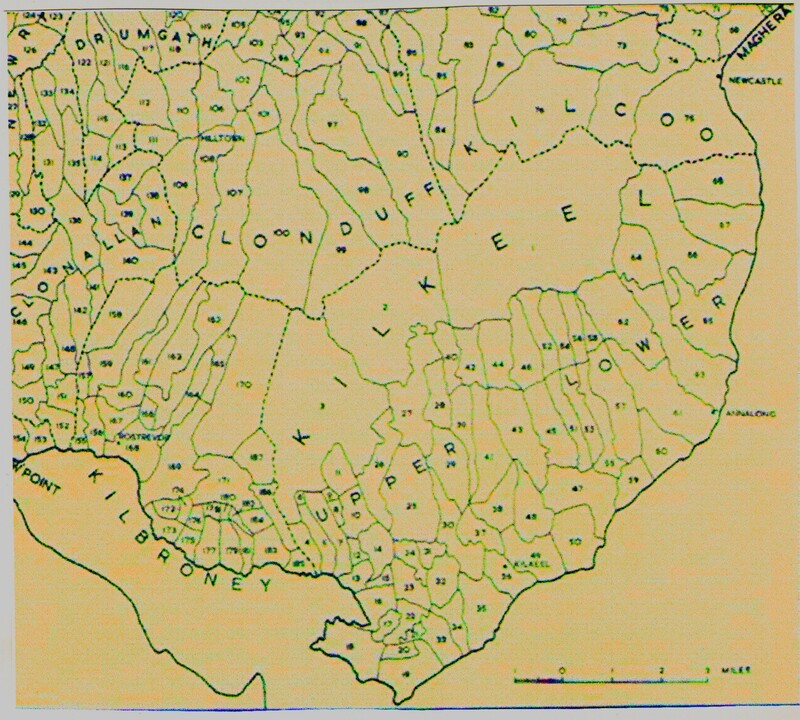 The evidence points to the nearby townland of Lurganconary. We know that there were Marmion families there in the 1790s, but how long were they there and what was their business? Were they involved in milling? There is nothing in Lurganconnery to-day to suggest that a mill ever existed there nor is there any oral tradition of such. However a partition deed drawn up in 1783 between two brothers, members of the Atkinson family of Mullerton, in lower Mourne, for the purpose of dividing their jointly held properties mentions several mills among which is listed that of Lurganconary! When Patrick and Richard took over the Ballymagart business the mills were fed by a spring, no doubt feeding into a mill dam. When the mill was advertised for renting in 1800 it was fed by the Whitewater River. This involved the engineering and cutting of a head and tail race, together with the construction of a weir on the Whitewater at some distance from the mill property. This construction would have required considerable skill and expertise not to mention expense. Unfortunately, to-day, the weir is broken down, the sluice gates are long gone and the head and tail race contain only a trickle of water. A Catholic Relief Act of 1778 allowed for the leasing of land on more advantageous terms. A Richard Marmion, most probably Patrick’s brother, leased in 1781, the Demesne farm of Bellhill. This comprised, 81 Plantation acres, together with a number of houses, outhouses and gardens. The rent was fifteen shillings per acre and the lease for a period of 900 years. In the lease Richard is described as a linen draper living in Drumcrow. This Richard conveyed, in 1803, his Drumcrow farm to his nephew Christopher who had been living at the Ballymagart mill house. Richard appears may have been dead by 1825 when his other nephew James is on record as owning the Demesne Farm of Bellhill. A will dated 1845 mentions the un-administered goods of Richard Marmion of Drumcrow. Probate was granted to ‘Margaret Glover otherwise Marmion of Bellmount Kilkeel widow as one of the next of kin’. The ‘effects’ amounted to £214.0.10. This Margaret was a daughter of James and niece of Christopher; she married John Glover in 1819. In 1779, the two brothers Patrick and Richard, leased in the townland of Ballymageogh, a plot consisting of three roods, eleven perches, for 900 years at the annual rent of six pence ‘if asked for’. This is a peculiar lease and would appear to correspond in size with the early site St. Colman’s Catholic Church also known as Massforth. While the site was bought in 1779, the building of the church did not commence until 1810 and opened eight years later in 1818. The gate way to the walled garden, now blocked up. When Spencer leased the whole of Ballyardle from his uncle the Rev. Dr. Joshua Pulleine in 1750 the rent was fixed at £56.6.4 together with twelve pieces of bleached linen or £12 in lieu, twelve geese every 29th September or 12 shillings and six fat lambs in Summer or £1.10.00. Pulleine had taken Ballymagart and Ballyardle on a perpetuity lease in 1731 from Mr. Robert Nedham of Newry at the yearly rent of £20. In the mid 18th century the linen industry was extremely prosperous and proved attractive to Catholics who could no longer make their fortune in land. Unfortunately the industry was to decline in the 19th century and those involved from hand loom weavers to mill owners struggled to survive. Patrick and Richard, who we believe to have been brothers, were known as ‘Linen Drapers’. They would have bought the linen from weavers who attended the linen markets in the neighbouring towns of Kilkeel, Castlewellan, Newry, Banbridge and Rathfriland. Kilkeel had in 1821 between 100 weavers in ‘slack-times’ to 250 in ‘throng-times’ bringing 350 webs amounting to £16,500 yearly. Newry, a much bigger town, had between 200 to 700 and an annual turn over of £70,500. The Linen Drapers travelled on horse back in groups for safety, as they were carrying large sums of money in gold sovereigns. Behind them came their carters. They stayed overnight at inns which specially catered for them and allowed them certain discounts. Brent Spencer was the nephew of Dr. Joshua Pullein, Chancellor of the Church of Ireland Diocese of Dromore. Pullein was an extensive land holder with a number of townlands in Mourne and many more elsewhere in Down. He lived outside Warrenpoint in the parish of Clonallon and was related to several notable families in Ireland and England. His sister Jane married Brent Spencer Senior, M.P. for the town of Lisburn in Co. Antrim and Brent Junior, was uncle to Charlotte - Marchioness of Donegall, the 1st Lord Garvagh and General Brent Spencer who fought in the Peninsular War. Spencer was chairman of ‘The Patriot Club’ in Newry and a member of ‘The Co. Down Society for Promoting Agriculture’. This society awarded premiums for the hedging, ditching and enclosure of fields and catches of herring off the Mourne coast. Spencer obviously availed of some of the premiums as the neat hedgerows and lay out of the Bellhill farm would testify. The Mourne townlands owned by Pullein were held on perpetuity leases from the Nedham family of Newry and Jamaica. This family merged into an English line, and were later were ennobled as the Earls of Kilmorey. Bellhill must have been a substantial property. When Spencer leased it from his uncle the deed mentioned orchards, gardens and the ‘Mansion House of Bellhill’ which he was required to put in ‘good repair’. Later deeds also mention a pigeon house. Not only did this supply a delicacy for the dinner table but pigeon dung in the early 1700s was used in the bleaching process; its use was later forbidden. There was also a farm of 81 Irish Plantation acres, known as the ‘Demesne Farm’, attached to the property. A Plantation acre was just over one and a half statute acres. Prior to the building, in the early 1800s, of Mourne Park House the Irish home of the Earls of Kilmorey, Bellhill was undoubtedly the most important residence in Mourne. Taylor and Skinner’s book ‘Maps of the Roads of Ireland’ which was published in 1778 shows a road running from Kilkeel and stopping at Bellhill. ‘To be let for years, lives, or forever. The House and Demesne of Bellhill, in Morne, in the County of Down, containing eighty acres (Plantation Measure) of Arable, Pasture, and Meadow Land, well improved and well inclosed (sic) with plenty of good turf-bog convenient. The House is pleasantly situated, in a fine sporting country, having a Prospect of the Sea (from which it is distant about a mile) the Isle of Man, the Coast, Mountains of Wicklow, Morne, and the Lough of Carlingford; has excellent offices of every kind, a choice Garden of an Acre, walled in, and planted with the best Fruit Trees; the whole within twelve Miles of Newry. Proposals to be received by William Scott Esq., in Newry. May 22nd 1774.